Definition at line 205 of file lscript_tree.h. Definition at line 208 of file lscript_tree.h. Definition at line 213 of file lscript_tree.h. 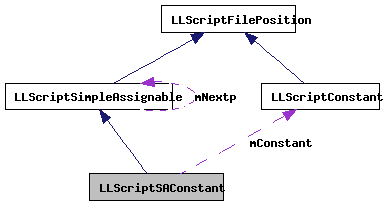 Definition at line 551 of file lscript_tree.cpp. 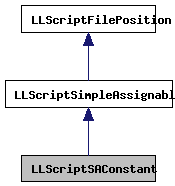 Definition at line 515 of file lscript_tree.cpp. References gErrorToText, LLScriptGenerateErrorText::getErrors(), LSCP_EMIT_ASSEMBLY, LSCP_LIST_BUILD_SIMPLE, LSCP_PRETTY_PRINT, mConstant, LLScriptSimpleAssignable::mNextp, NULL, LLScriptSimpleAssignable::recurse(), and LLScriptConstant::recurse(). Definition at line 220 of file lscript_tree.h.